Remember how we told you that the lower Divisadero strip is about to blow up? 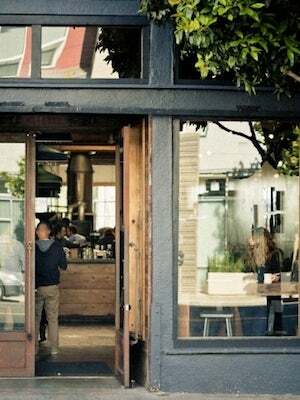 One of the chief reasons: the imminent arrival of cult-followed venues Bi-Rite and Four Barrel coffee. The latter, which might just be the most stylish java hut around, just dished a bunch of juicy deets on the soon-to-come location to SF Weekly, and boy are we excited. First off, 4B owner Jeremy Tooker says the 1,800-square-foot space will be located at 736 Divisadero (between Fulton and Grove), inside what was once Emblem Market. Also, it won't be called Four Barrel, partially in an attempt to keep it hipster-free [Ed note: Is this even possible?!]. "I wanted to drop the hipster stigma that everyone's attached to Four Barrel," Tooker explains. "When you walk in to Four Barrel, you expect a completely hipster clientele and hipster attitude, but...I wanted the new space to open without that expectation." Instead, expect a "homey and comfortable [space] that reminds you of your mom's kitchen," he says, also divulging that there'll be a 1,000-square-foot garden out back and a bunch of beehives on the roof, to produce the honey that'll be slathered over thick slices of bread by local dough slinger Josey Baker. House-made nut butter, peanut butter, and the like, will also be served and packaged to go.